Do as said in that tutorial before the point “Disable these files”. 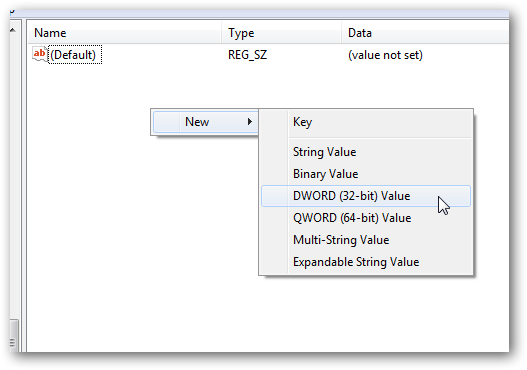 Now you need Windows 7 Registry Editor to do the work, instead of Windows Group Policy Editor (GPEdit.msc). Double click and setting its value to “1” . Exit Registry Editor. This is it. This Article Has Been Shared 7898 Times! contains no sub-folder Explorer in which to create the required DWORD, and there’s no obvious option to create such a folder. Is it at all possible to disable the creation of thumbnails in this case ? On the left hand pane, right click on the “Policies” > Hover over “New” option > Click “Key” . Rename it as “Explorer”. Then do the of the rest things. I see. What I was calling a ‘folder’ is actually a ‘key’. That’s certainly elucidating! Now I think I know what to do. Right. They looks like “Folders” but actually they’re Keys. Do you still create a 32 bit if I have a 64 bit Home Premium OS? Cite this article as: Abhishek Ghosh, "Turn off caching of thumbnail in Windows 7 Home Premium," in The Customize Windows, May 7, 2011, April 25, 2019, https://thecustomizewindows.com/2011/05/turn-off-caching-of-thumbnail-in-windows-7-home-premium/.